We have a large fleet of state-of-the-art Volumetric Lorries which can act as a mobile batching plant. 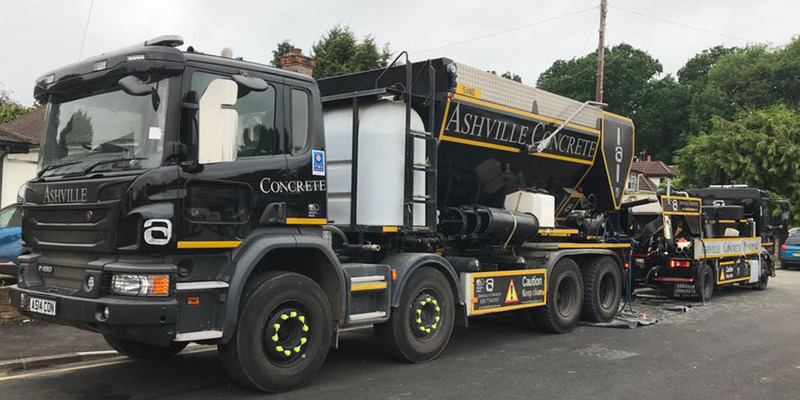 This technology gives us the advantage of being able to arrive at your location with the ingredients ready to create Ready Mix Concrete Kensington. All of our vehicles are fitted as standard with the latest calibration software allowing us to be able to create several Concrete Products with every delivery we make. We can also remove waste product from your location having first delivered your materials. At Ashville, we work 24 hours a day, seven days a week. We will always strive to provide you with the materials you need on the same or the next working day. We will be with you whenever you need us. For your convenience, we also offer to remove waste having first delivered your materials for your convenience.